NFSB Continuing Education » Is a TRADE right for your child? Welcome to our “Parents Section”! Is a TRADE right for your child? Welcome to our “Parents Section”! Is your child in high school or a recent graduate? 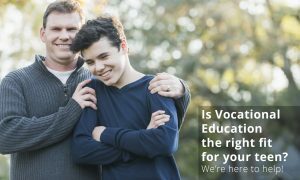 Helping your child with the next step in their education can be stressful and confusing! A good start? Help your child identify their “passion”. Do they have an eye for design? A love of the outdoors? A knack for working with their hands? With fifteen vocational training programs in our three centres, we have something to meet your child’s interests and strengths and are here to help your child explore the possibilities. CHECK OUT our NEW PARENTS SECTION!